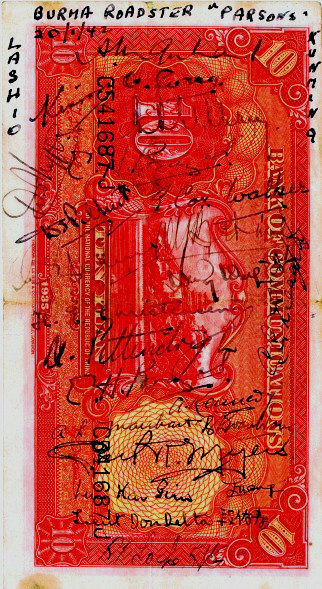 Arthur Pittendrigh, Master Mariner, had lived and worked in Shanghai since 1924. Following the Japanese attack on Shanghai he, along with most of the european population made their way to Hong Kong. Arthur was mobilised into the RNR with the rank of Lieutenant at HMS Tamar 1st November 1939. In Dec 1941 he was 1st Lieutenant, Aberdeen Dockyard under Commander Hugh Montague RN. 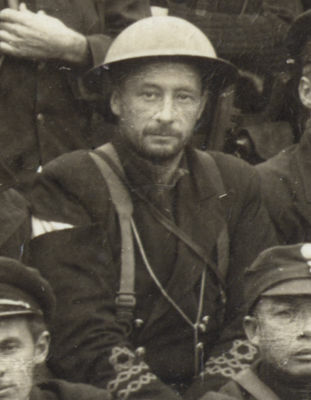 (Rtrd) Arthur escaped along with Cmdr Montague on board the 150 ton berthing tug Polly (C-410) and joined up with the MTB escape party at NanAo, deep behind enemy lines in China. He was able to get the right sleeve of his uniform sewn back on while in Waichow. 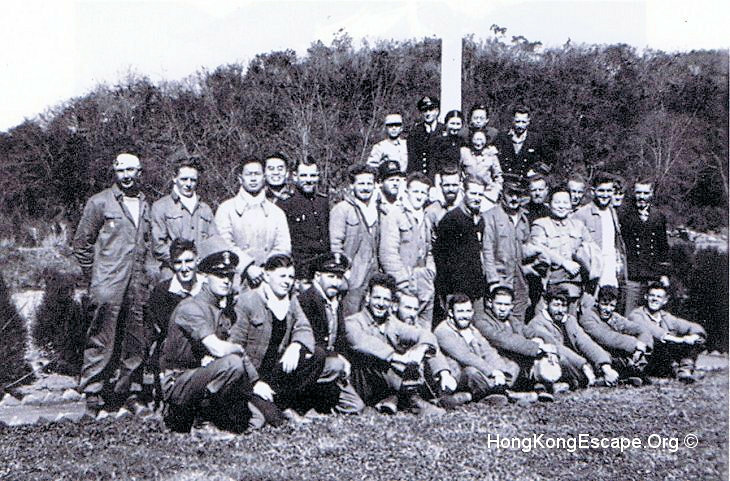 While in Kunming, Arthur, along with Sub-Lt Legge and Sub-Lt Gee received orders to fly to Chungking and report to the British Embassy to work in the cypher department. Arhur was seconded into the British Indian Army in 1942 with the rank of Lieutenant, rising to the rank of Major. Arthur returned to Hong Kong in 1945 to command the Maritime Police Service with the rank of Colonel. Arthur retired to Safety Bay near Perth WA where he died in 1968. "During the siege of Hong Kong this officer performed the duties of 'Lieutenant of the Dockyard' at Aberdeen. He displayed exceptional utility and zeal and was cool and unshaken under repeated shelling and bombing. He is an excellent leader of men, resourceful in overcoming difficulties, and cheerful and resolute under trying circumstances. It is unprecedented in the annuls of the Royal Navy that an entire Flotilla evaded capture to escape across an entire continent to fight another day. 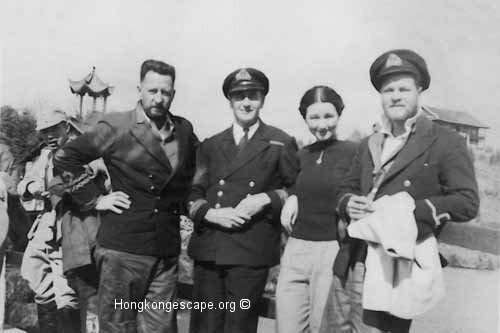 Arthur returned to Hong Kong after the war and along with Harry Owen-Hughes joined Colonial Secretary David MacDougall's team getting Hong Kong running as a going concern again after the Japanese occupation. Arthur became the Commander of the maritime police with the rank of Colonal, where he was fully employed rooting out pirates from the dozens of surrounding islands. Among other Christmas Day escapees to return were Max Oxford as the Deputy Director of Civil Aviation, SOE agents Colin McEwan as Head of Physical Training and John Talan who went back into the travel sector before becoming a Director of a laundry business. Ted Ross along with S K Yee managed the transport division for the British Military Mission. Arthur Gee also returned to his pre-war employers as night editor on the China Mail. Adm Chan Chak became the first post-war mayor in neighbouring Canton. Lt-Cmd Yorath with officers & ratings visiting Huaxi park, Guiyang.